Sustainability, protecting the planet – we hear a lot about it, often at length. What does the throwaway society really look like? The rubbish mountain gets higher by the day, a mess of plastic takes over the oceans more and more. So much of what we produce becomes rubbish almost immediately. Upcycling is a way of conquering this waste of resources by creating useful objects from those that exist already. They’re much more elegant and appealing than mass-produced stuff. 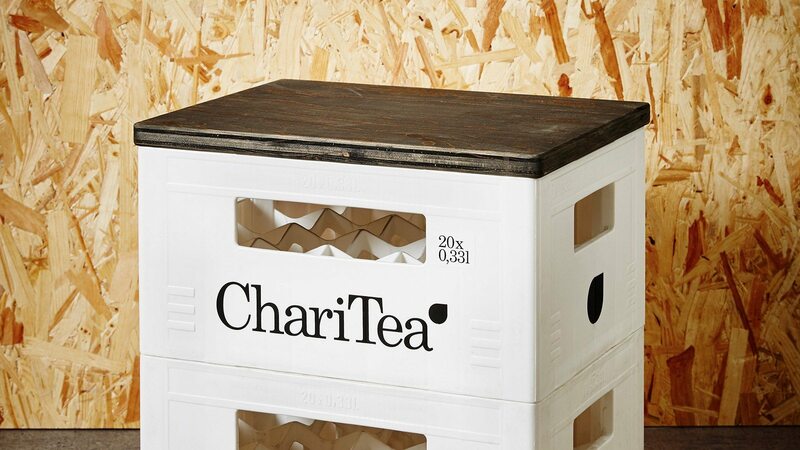 At Lemonaid and ChariTea, we play our part in this movement by making various things out of our empty bottles and crates. They end up as lamps, stools, soap dispensers, sugar shakers or vases. We can even put together whole bars or beds.